One day in France, long ago, a little film was made in a big hurry. 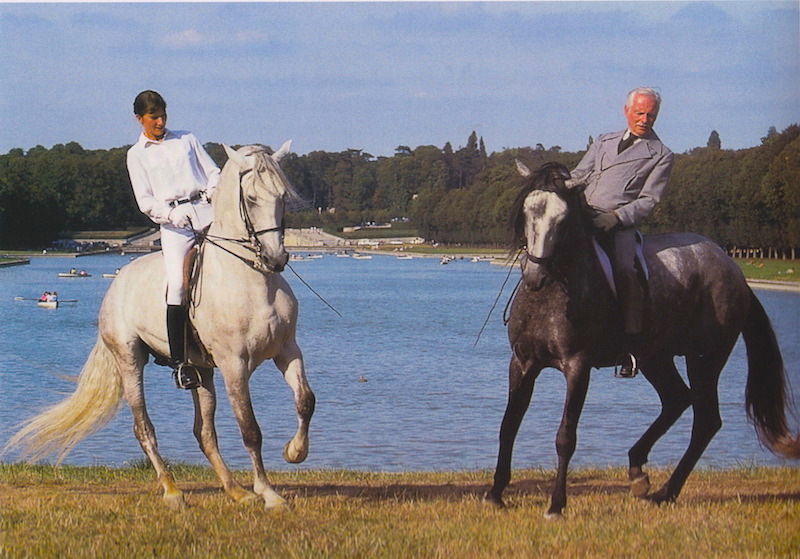 Plans had been made to do the shooting for the film at the gardens of the nearby Château de Maisons-Lafitte, between Versailles and Paris, but before that could be scheduled, one of the two equine stars of the show (the Lusitano stallions Spartacus and Orphée) was being called away. 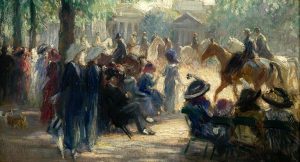 Since Orphée had regained his status of 2nd French Dressage Horse and Free Style Champion, his breeders were claiming him to return to Portugal to do his job as a sire. 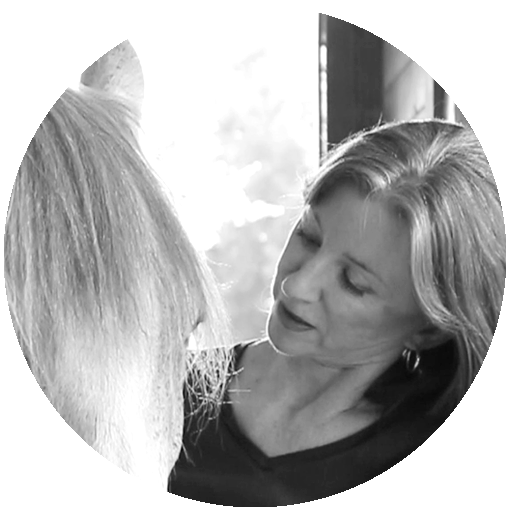 The director and producer, Michel Kaplan–a beloved horseman and healer, and a friend who sadly passed away last year–told me he had other hiccups in his plans. For one thing, when he filmed the statues in the yards of the Museum du Louvre he was asked to stop using his tripod. And, worst of all, he had one day including only two hours of sunshine to film the Henriquets at their home in Bailly, very close to the Château Versailles. 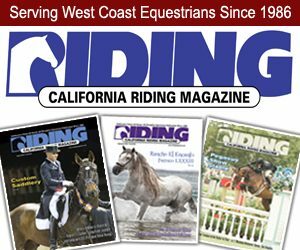 The short film that resulted from the last minute rush is a sweet testimony not only to the relationship of Michel and Catherine, but a birds-eye view into a vanishing equestrian lifestyle. It vanished indeed with the passing of Michel Henriquet in December 2014. Michel had stopped riding by the time I met him in 2005. I was visiting him and Catherine at Fief de la Panetière, their venerable 16th century property, interviewing him for an article published in the Equine Journal magazine later that year. We quickly had a really nice rapport, even though his erudite spoken French was sometimes a struggle for me at time, and I thanked my stars that I had my trusty recorder to play back the interview than ran like a river through the whole day. Michel was the one who first introduced me to the history and importance of the School of Versailles. 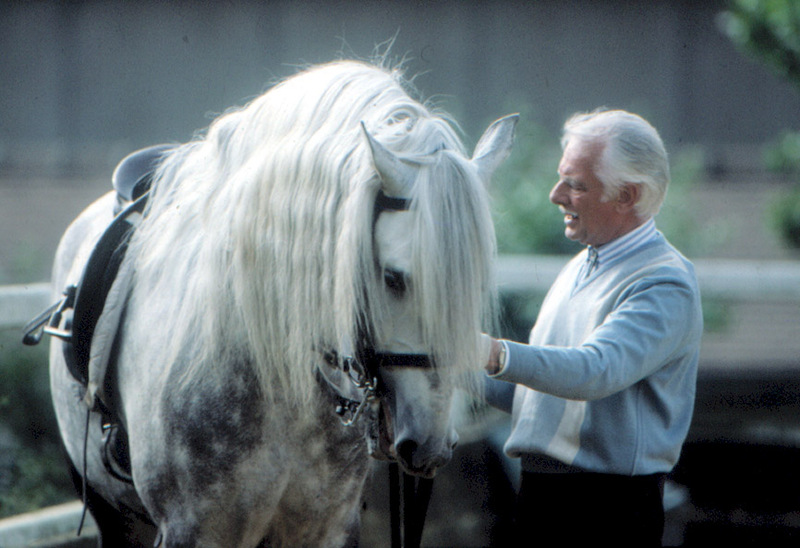 His passion to recover the beauty of equitation art was very contagious to me. He knew my fascination was authentic and he was very generous…he gave me his books, sent me their DVD, and we stayed in fairly regular contact for 10 years. In those early days he even offered to come to the U.S. to do a clinic if I wanted him to. When I recall that, I am amazed. If I have ever had a mentor, he was that. My sense of loss was very deep when he passed away. Strangely I had been dreading it for years…and I still wasn’t ready when it happened. Michel Kaplan and Michel Henriquet were friends for decades. “The Music Box” never went anywhere for some reason…except into a big box. When I contacted Michel Kaplan’s daughter after his death to ask if I could have the film professionally digitized in order to share it, she was very gracious and cooperative. Therefore, as I share it, I hope you love this little jewel of a “home movie” as much as I do.